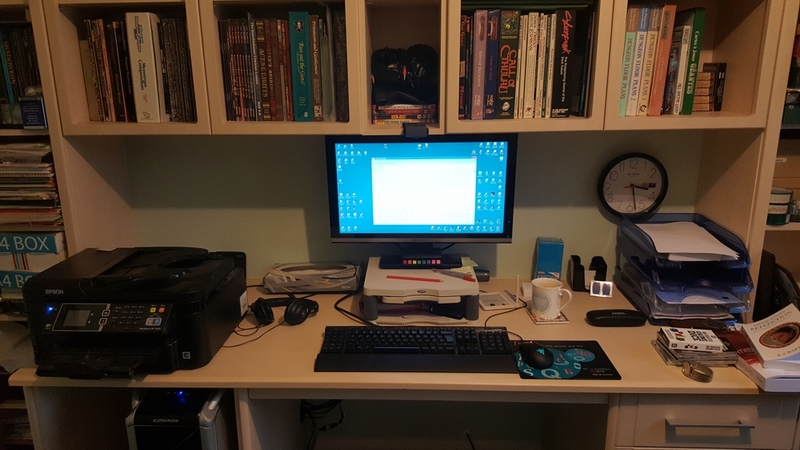 I was asked to take a photograph of my desk today, so thought I might as well share it. This is my desk at home. At work, I couldn't walk back far enough to get it all in shot, as my office is too pokey.